When the Armistice ending World War I was signed on Nov. 11, 1918 at 11 a.m., bells rang in celebration around the world. To celebrate the 100th anniversary of the Armistice, the N.C. Department of Natural and Cultural Resources has encouraged local history groups and community organizations to ring bells 21 times at 11 a.m., Sunday, Nov. 11. The 21 tolls of the bell symbolize the nation's highest honor. It is based on the 21-gun salute. Many communities across the state are planning special exhibits, parades, or other programs to enhance awareness of World War I, veterans’ service, and the sacrifices that war entails. To date, a variety of organizations, including courthouses, museums, universities, and churches, have pledged to ring bells in more than three-quarters of the state’s 100 counties. On Roanoke Island, the Dare County Arts Council will participate in this event at their site in downtown Manteo. 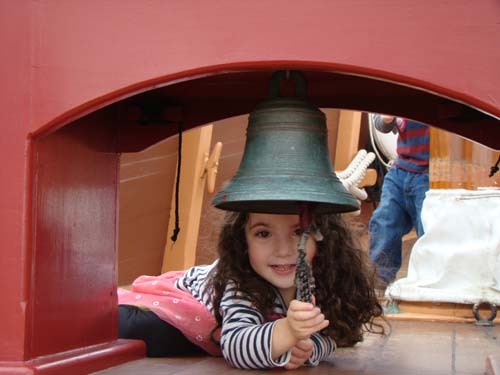 Roanoke Island Festival Park will also feature a bell ringing from the Elizabeth II on its Facebook page during this time. Please join us and add your bells to the chorus. To learn more, visit ww1cc.org/bells and view NC Governor, Roy Cooper's proclamation below.